Slots fans can now enjoy slots at Bitcoin casinos online. These allow you to play anonymously from any location, as well as to deposit and withdraw instantly from your Bitcoin wallet. With the BTC casinos improving all the time, it is now possible to play slots from many different software houses including BetSoft and PlayTech. At the other end of the scale, there are the simple “provably fair” games which allow you to check that each spin was truly random after the fact. Here is an overview of the slots games available at Bitcoin casinos. First up, the different games available are covered along with information on where to play them. After that, you will also find information on what you’ll need to do to get started with Bitcoin slots. At the end of the page, you will find a summary of the pros and cons of these casinos compared with those using the mainstream currencies. Almost all Bitcoin sportsbooks come equipped with casino games, and you can play Bitcoin slots at our top recommended sites below. What Slots are Available at Bitcoin Casinos? There are a range of slot games from some of the leading software houses at different BTC casinos. The main brands are BetSoft, Novomatic and PlayTech, with some titles from SoftSwiss and other game creators also available. Of the slot games licensed to US friendly casinos (including those that welcome Bitcoin), BetSoft titles are the most advanced. They have an instantly recognisable animation style which is closer to a Pixar-type movie than anything in the world of slots. They also include game-within-game feature rounds which are entertaining and potentially lead to big wins too. Titles to look out for include After Night Falls, At the Copa and Good Girl – Bad Girl. The big advantage to BetSoft slots is that most of them have already been fully optimised for use on mobile devices. PlayTech slots are considered to be at the cutting edge of the online gaming genre. While these are not licensed to casinos which normally allow US players, there is a Bitcoin casino which allows anonymous play and can therefore give US-based players access to PlayTech titles. It is the player’s responsibility to determine the legality of online gambling in their jurisdiction. This means that Marvel games including The Incredible Hulk and Iron Man 2 are available to play with BTC. Many Bitcoin casinos have created their own proprietary games. You will find several nicely built multi-reel video slots games in the range. Bubbles Factory, Wild Wild West and Kitten Cash are all very playable, and feature wild symbols and scatters. While these do not have the interactive features of some advanced slots, you can enjoy big wins via free spin rounds. At the other end of the scale, the provably fair games are simple three-reel slots with just one win line. An example can be found at the retro-looking SatoshiBet. Provably fair games allow you to check for fairness after each spin, which somewhat makes up for the monotonous nature of the game itself. There are three steps required before you can play Bitcoin slots for the first time. Each of these is simple enough once you know what to look out for. First you’ll need to get hold of some Bitcoin. To do this you need a wallet, which can either be downloaded (either to your computer or as an app) or hosted online. There are lots of companies which let you sign up for one of these, with the biggest being CoinBase. You’ll then be able to buy BTC by wiring money from your bank account. With so many different merchants springing up online with wallet offers and payment options, this is an easy process to complete. Next, you need to find a casino to play at. Your choice will depend on which slots you want to play, whether you’re looking for a casino which offers provably fair technology, and how important a gaming licence is for you. You’ll be able to register anonymously with only an email address for communication required in most cases. Finally, you’ll make a deposit. The final step could not be easier. Click on “Deposit” at your casino and you’ll receive a 33-character-long string of letters and numbers. This is the “Receiver ID”. You will then send some Bitcoin (or mBTC, which is 1/1000th of a coin) from your BTC wallet to the casino using this string, after which you should normally be able to hit the slots games right away. The key reason for playing Bitcoin slots is the anonymity. You can create an account with any email address (or even without one at SatoshiBet) and be playing for BTC within minutes. There will never be any ID requests, and geographical restrictions are not normally enforced. There are no transaction costs with Bitcoin, which compares favourably with other payment options. While many casinos (particularly US-friendly ones) defray their processing costs by charging players up to 5% on credit card deposits, with BTC you’ll be able to play with 100% of the amount you deposit. You can also access slot game titles that you may not otherwise be able to play through some Bitcoin casinos. While, strictly speaking, their terms exclude players from locations where gambling is illegal, it is down to the individual player to determine whether they can play. The main downside of Bitcoin slots is that there are no networks of big brand casinos with networked jackpot payouts. Instead of the multimillion payouts at the MicroGaming or NetEnt casinos, you’ll find the biggest prizes capped at around 50BTC. Jackpot games are available at Bitcoin casinos, though these are usually local to the individual casino. You should also be aware that many Bitcoin casinos will restrict you to 5BTC per withdrawal either weekly or every 14 days. 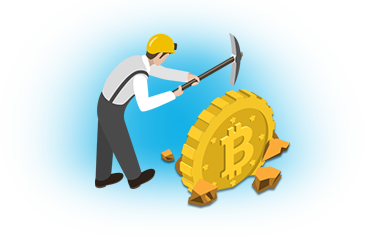 Overall, the anonymity, ease and range of games render Bitcoin slots a solid proposition. We look forward to seeing wider ranges of games at more casinos in future. Plus, with increased regulation of the crypto-coin markets, we may see more of the big slot providers licensing their games to operators in the Bitcoin space. And if, like us, you happen to be a slots fanatic, this can only be a good thing.